It's time I get a little more serious about explaining these WODs. The entire premise of today's WOD will explain to you how and why EPOC increasing calorie burn is VERY simple and can provide you a way to burn calories while sitting on the couch. The other ways I've seen people explain EPOC (Excess Post-Exercise Oxygen Consumption) is not conducive to real life. What Is EPOC and How does EPOC Increasing Calorie Burn help me? EPOC increases the use of oxygen. Our bodies require oxygen to survive. It just so happens that oxygen is one piece of the puzzle for creating energy used for movement. But let's not forget about when your body is burning (Or as I like to say “Using” instead of burning) calories. You're using calories when you sleep, you're using calories when you brush your teeth, you're using calories when you pick the stuff out of your eyes. You use calories ALL the time. Your body acts the same way. EPOC increasing caloric burn happens when you are in 82% – 95% of your maximum heart rate for 12-20 minutes. What that does is creates what people have dubbed “after burn”. Let's say you use 400 calories doing a WOD. You then know you were in your proper zone using a HR monitor for 15 minutes. Therefore you've achieved your after burn for that WOD. You then will burn 15% extra calories. So take 400 X .15 and you've just burned 460 calories. Those extra calories used helps you get more out of your workout after the work is done and who wouldn't want extra calories gone by doing nothing at all? How does your body produce the required amount of energy need to create EPOC (and EPOC increasing calorie burn)? Your body requires energy to use these calories. The more oxygen you use the the more energy you need, therefore EPOC increasing calorie burn means requiring more energy. This energy is in the form of ATP (Adenosine Triphosphate). How does the body produce ATP? CP (Creatine Phosphate System) – The most immediate source of ATP is the CP system. The CP System is like an ADHD kid (like myself) because his attention span is as long as this cycle – 0-10 seconds. This system is activated when someone comes by your office or cubical and tell you there are fresh donuts in the break run in that direction like the building is on fire. The ability to run to the break room is your CP system at work. Anaerobic Glycolysis – This is the next most immediate energy source, and consists of a metabolic pathway that breaks down carbohydrates into pyruvate. Basically this process acts as a helper, such as your child trying to help you workout, (if you've ever experienced this you KNOW they aren't much help because they usually cause more trouble then they ACTUALLY help with). The reason I say helper is because that “helper” really isn't helping much as it is hurting. When oxygen isn't available pyruvate is converted into lactic acid, which then builds up in muscle cells and the blood. Which if you've ever tried to carry both kids into the house after a long road trip and their too tired to walk in by themselves. You KNOW the kind of pain that happens in the muscles I'm talking about then. That's the pyruvate converting to lactic acid and the presence of oxygen is SO not there. Oxidative Metabolic Energy Systems – This one is broken into two different pathways. The Krebs cycle and the electron transport chain. The Krebs cycles needs glucose (sugar), proteins, or fats to convert to ATP. The macronutrients are broken down through a series of chemical reactions following the energy collected and used to create ATP on it's own and within the electron transport field. All that being said, this is like when you're in the store and both kids are screaming bloody murder and you're trying not to run through it too fast because you KNOW you'll forget the damn I Can't Believe It's Not Butter (because you read on the cover of the magazine while waiting for you kids hair to be cut) that REAL butter is bad for you. Your Oxidative Systems are in play when an exercise or activity lasts longer than one to two minutes… Like that mad dash through the store to get the bare essentials like milk, bread and peanut better. What Causes Your Body To Burn More Calories? RMR (Resting Metabolic Rate) is the number of calories your body uses at rest. This represents the calories used while sleeping and while performing basic activity, such as brushing your teeth and typing on your computer, but doesn't include the calories used during physical activity or exercise. TEF (Thermic Effect of Food) represents the number of calories required to break down and use the food you eat into your body. In turn, some foods have higher amounts of energy required to be broke down. That's not a bad thing because if you eat those foods your body will have to use MORE energy to convert them into energy used in your body. Get it? If not yet, then I'll keep explaining. Do you conscientiously think about breaking down the food you eat? No you don't. You cram it in your mouth as fast as you can and do so until you notice your belt feels tight. Then your body takes it from there. So being aware of what foods have HIGH Thermic Effect may help with energy expenditure. NOW do you get it? Daily activity is expressed in the number of calories needed to perform general physical activity (walking around, gardening, picking up the house) and planned bouts of exercise (going to the gym, participating in a race). What most people don't realize is that your RMR is the greatest amount of calories used each day. 60-70% of your TDEE (Total Daily Energy Expenditure) is used up by RMR alone. It's important to be doing resistance training (Like your Daily WODs) because muscle is more thermically active than fat. That's one of the best ways to increase your RMR and also being consistent too! In conclusion, be ready to kick some serious tail and consume a TON of oxygen because with each WOD completed your body is more efficient from the consistency, your mind is more determined because of the results you're seeing and your soul is connected to the community you know as the #Kobernation. Remember to use the # when posting to Instagram AND tag me! 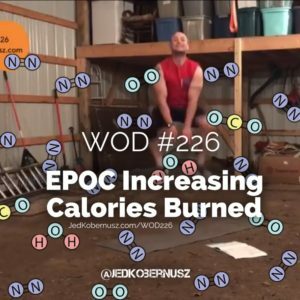 PSSS: If you found this WOD about EPOC Increasing Calorie Burn and thought it to be helpful, consider making an in-kind donation. That way I can keep helping you out. Go Here To Donate. Thank you for your time, attention and generosity. If you enjoyed this post about EPOC Increasing Calorie Burn, retweet, share and/or comment below what you liked most. 1. Baechle TR and Earle RW. Essentials of Strength Training and Conditioning: 2nd Edition. Champaign, IL: Human Kinetics. 2000. 2. McArdle WD, Katch FI and Katch VL. Essentials of Exercise Physiology: 2nd Edition Philadelphia, PA: Lippincott Williams & Wilkins. 2000. 3. Noakes TD. 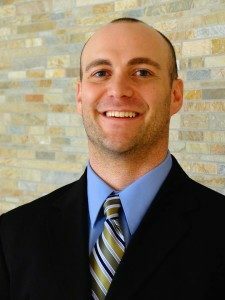 Physiological models to understand exercise fatigue and the adaptations that predict or enhance athletic performance. Scandinavian Journal of Medicine and Science in Sports. 10, 123-145. 2000. 4. Stager JM and Tanner DA. Swimming: 2nd Edition; An International Olympic Committee Publication. Oxford UK: Blackwell Scinece Ltd. 2005. 5. Wilmore JH and Costill DL. Physiology of Sport and Exercise: 3rd Edition. Champaign, IL: Human Kinetics. 2005. 6. Gastin PB. Energy system interaction and relative contribution during maximal exercise. Sports Med Journal. (31) 10, 725-741. 2001. 7. Ross A and Leveritt M. Long-term metabolic and skeletal muscle adaptations to short-sprint training: Implications for sprint training and tapering. Sports Med Journal. (31) 15, 1063-1082. 2001. Have you ever thought that cardio takes forever? 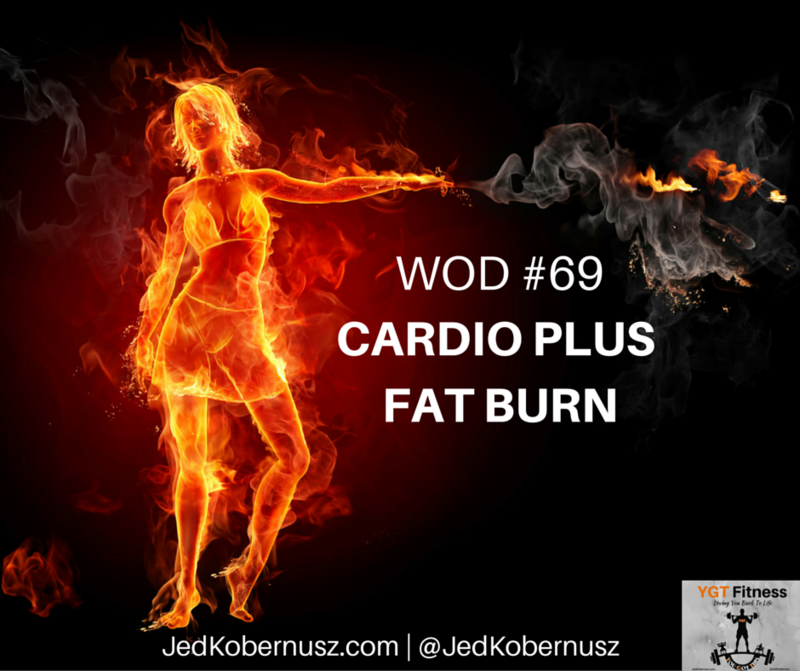 Well today's WOD provides a quick way to get your cardio fatburn mental breakthrough and plenty more. The BEST part is that it only takes about fifteen minutes to achieve ALL of that. By the time you get to WOD #103, IF you have started at WOD #1, you may be hitting a weight loss plateau. That's ok, but you get to decide for how long. Plateau weight loss is an exact art and being aware of it is something I specialize in. The simple answer is that your body has adapted to what you are doing. That's the beautiful thing about the body. It works SO hard to stay in what's called homeostasis. Our bodies try to stay in a constant balance. You can allow me to help you figure out your patterns which may include intermittent fasting, taking a look at the bmi calculator, looking at bodybuilding movements and modifying them for YOUR body. Either way, I think #1 is out of the question, but people do it ALL the time. #2 is ALL you. I'm good with that. Keep going and good luck. I believe in YOU, now it's your turn to start believing in yourself. So the choice is yours. If you want to go with #3 let's chat. Hit me up with an email at [email protected]. If you want to get in right away, then Go Here and let's get started. So let's get to today's WOD. I may seem a little nuts, but THAT is what it takes sometimes to get to the place you want to be. Basically working OUTSIDE your comfort zone IS where all the MASSIVE cardio, fatburn and mental breakthroughs happen. 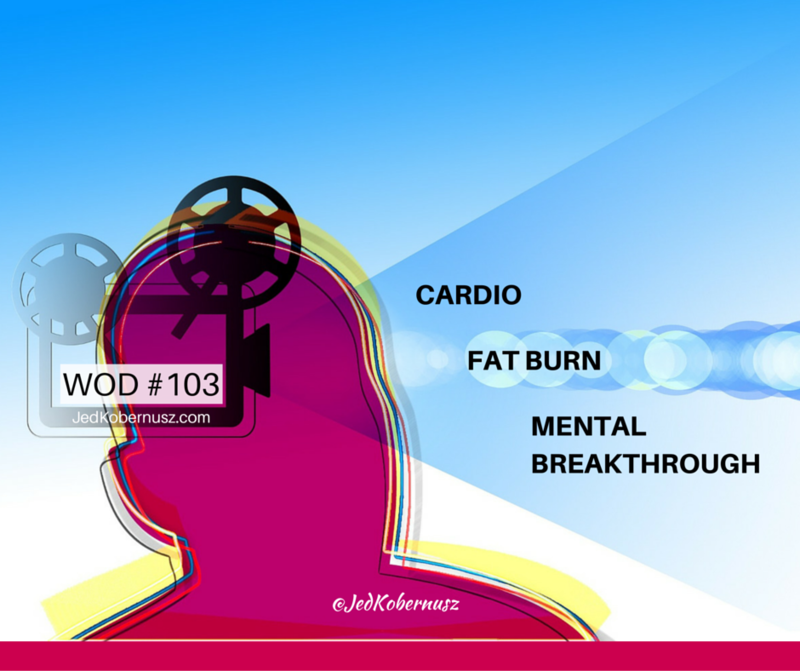 If you enjoyed this post about Cardio FatBurn Mental Breakthrough, retweet and comment below please. Flabby underarm fat burn is something that my clients talk to me about the most. What exercises can help my flabby underarms? The more you practice being consistent, committed and confident the easier the flabby underarm fat burn happens. Each and every day I try just a little bit harder and that's why I'm asking you to do. Simply try just a little bit harder than yesterday and stay committed and stay true to yourself. And dare I say, by now, you like to do it. So let's get going with WOD #92 and be proud of yourself for getting past the 90-day mark and continue to improve upon yourself. If you enjoyed this post about Flabby Underarm Fat Burn , retweet and comment below please.